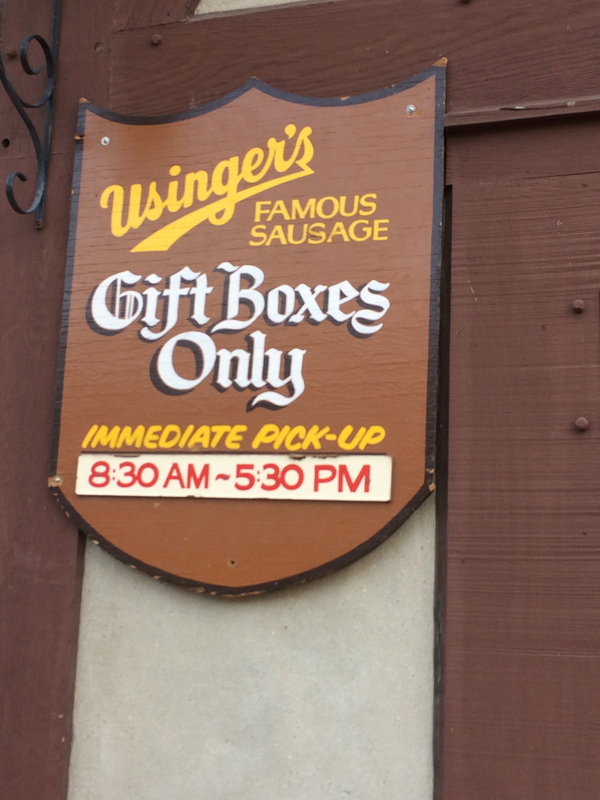 The Usinger Gift Box Annex is now open! It’s fastest, easiest way to shop. We even offer store to door service, as in, we’ll even carry your gifts to your car. All the great gifts you see online or in our catalog are available for immediate pick up in the Annex. Located right next to our Retail Store on Old World Third St. the Annex is a quick in and out for holiday gift shopping. The Annex is open daily from 8:30 to 5:30 (closed Sunday). 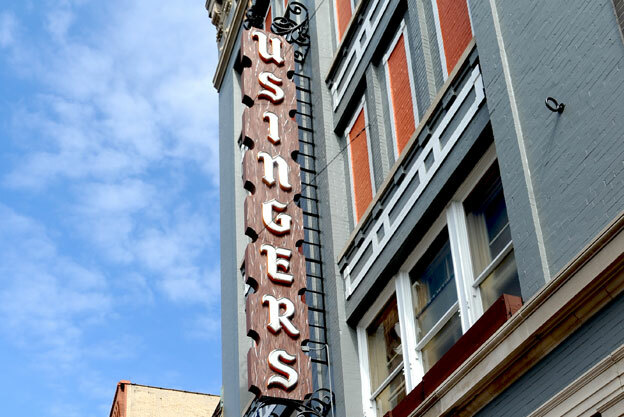 If you’re planning a holiday party stop in the Usinger retail store right next door. We’ve got lots of specialty sausages and smoked meats that’ll be perfect for your holiday gatherings. Be sure and check out the seconds table too. You can always find some bargains there. 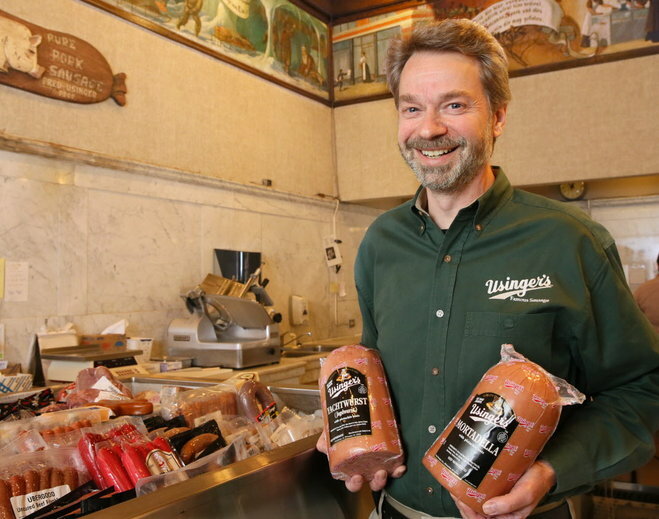 A quick stop at Usinger’s for holiday sausages has been a Milwaukee tradition for generations. Parking is free in the Usinger lot, located on the south side of the annex. Here’s wishing you and yours the happiest of Holiday Seasons. From all the Wurstmachers and the Elves at Usinger’s. It seems the older I get, the faster the weeks just breeze by. Believe it or not, the Holidays will soon be upon us. Then the gift selection dilemma begins. Let us help you ! We can take the stress out of your gift giving. Visit Usinger.com to view our line up of over 30 sausage, cheese and Wisconsin goodies packed in attractive holiday themed assortments that we will ship for arrival in time for the holidays. It’s that easy. 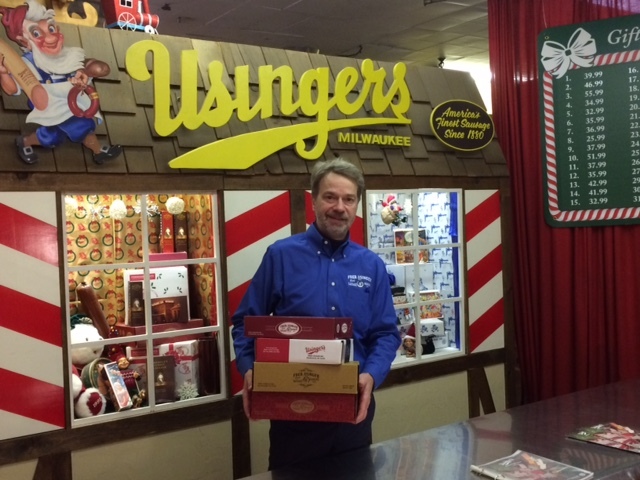 Everyone appreciates a gift assortment from Usinger’s ! Yep, the State Fair is underway at State Fair Park in West Allis. I love the Fair, an adventure at every turn and a huge selection of foods to try. I invite you to stop by the Usinger Booth in the air conditioned Wisconsin Products Pavilion. We are serving up our ¼ pound Brats, Beef Franks, Italian Sausage or Smoked Brat with Cheddar & Jalapeno. In addition to our sausage we’re featuring three great Reuben sandwiches. You will find the classic Corned Beef Reuben as well as our Turkey Reuben or try a Smoked Ham Reuben. Of course we use our house made Usinger Sauerkraut to build these beauties. 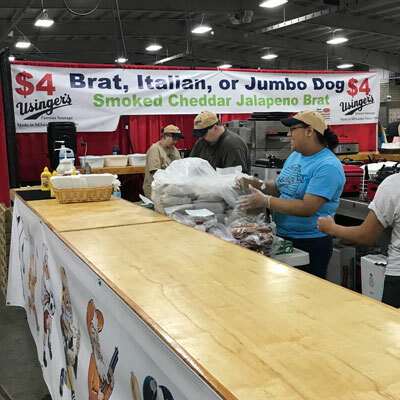 So find comfort and the best food at the best price inside the Wisconsin Products Pavilion. 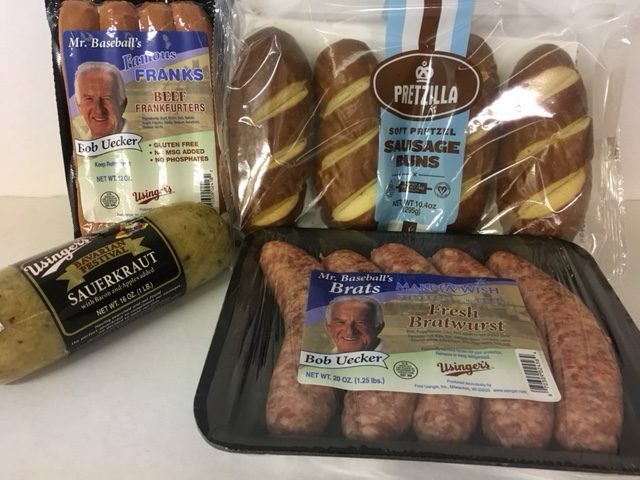 As summer fades into fall and cool crisp mornings turn into beautiful afternoons it can only mean one thing – football season and plenty of great weather for grilling Usinger Brats. 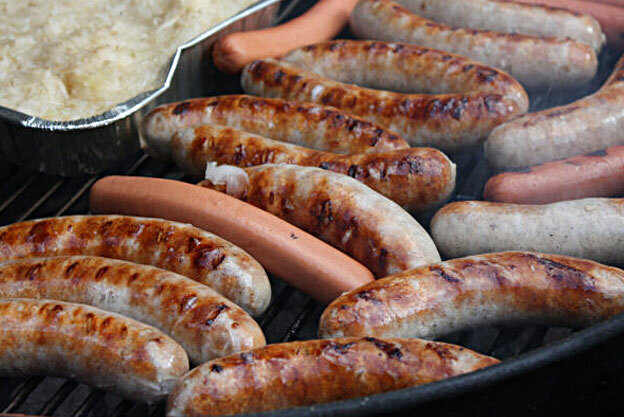 Nothing beats standing by the grill on a crisp afternoon, enjoying the aroma and sizzle of Usinger Brats. Remember my advice and cook the brats low and slow to avoid split casings so the flavorful juices stay in the brats. For our loyal Usinger fans we’re kicking off our “Tailgate Party Contest”. Just send us a picture of your tailgate party with Usinger Sausage and you could win a Tailgate Party Pack featuring Usinger Brats, Usinger Festival Sauerkraut and Pretzilla soft pretzel buns. Visit our website at usinger.com and look for the Contest tab for more information. Also, look for our Fall Deli Discount offer coming in the mail soon. If you don’t receive one, sign up for the newsletter on the Usinger website and we’ll get you one. Happy Tailgating and Go Pack ! A little while back the BBB came to Usinger’s to shoot some footage for a television commercial. Well the spot is finished and we are happy to be in it. Take a look and watch for Fritz! This was served at the Arthritis Foundation Wine Tasting featuring Usinger’s bacon. 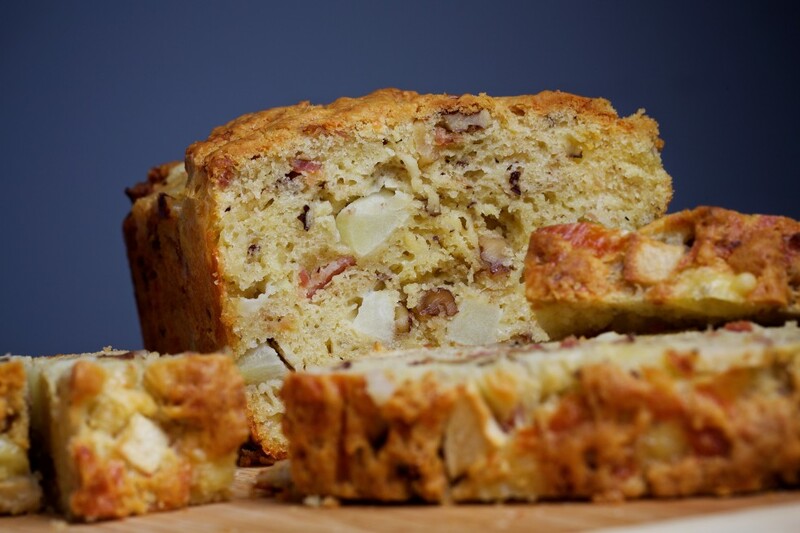 Many people wanted the recipe so here it is, reprinted from the Washington Post. People think those of us who grill outside in the winter to be crazy. Well, I can remember a few evenings in early May when it’s been almost as cold! You don’t have to mothball the grill just because it’s cold outside. The food tastes just as good, maybe even better, and hey, standing in front of a hot grill takes the chill off a cold day, or night! Here are some pointers to stay warm and get great results for winter grilling. First, dress appropriately, in layers and don’t forget the hat. Most of your heat loss comes from your head, so unless you’re planning on keeping it close to the grill (not recommended) keep it covered. Next, grilling in winter takes a bit more time. Your grill will take longer to get warmed up and that can add about 25% more time to the cooking process. So, make sure you have enough propane or charcoal on hand before you start, because running out midway through can be a pain. Finally, enjoy the peace and quiet of winter serenity. Odds are there’s not a lot going on outside, maybe a squirrel fight or an occasional deer sighting. It’s just like ice fishing, they’re even better when you get them in cold weather. 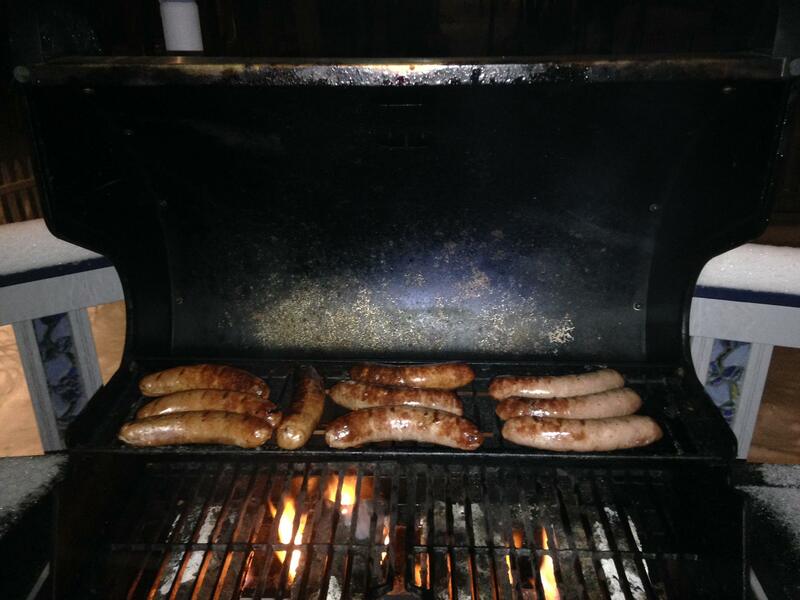 There is nothing like a brat right off the grill and it just seems tastier in January! If you’re not a fan of the cold, well, there are some great soup recipes in the Usinger cookbook and on our website.